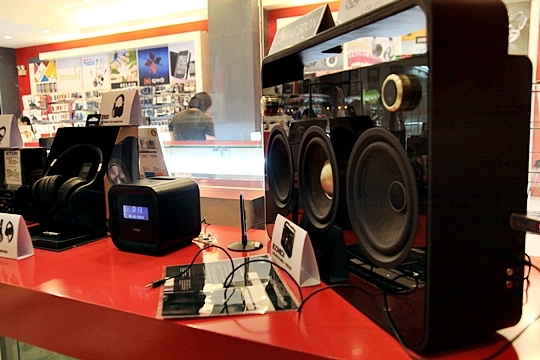 The TDK 3-Speaker Boombox was launched at an event held last July 9, 2011 at the Digital Walker Café in Eastwood Mall. 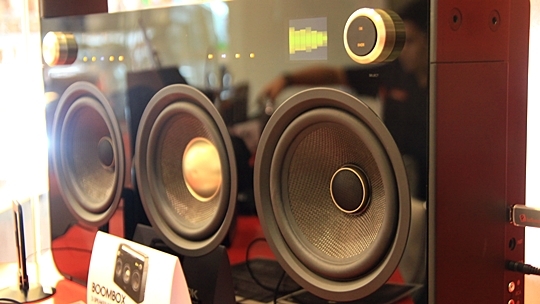 We all know TDK as a leading recordable media brand but the company, acquired in 2007 by Imation, is already into the manufacture and distribution of electronic products, specifically earphones, headsets and home speaker systems. If there’s a company that has the credibility to re-imagine the boombox concept, it’s TDK, being a company that has witnessed the rise and fall of the original boombox. 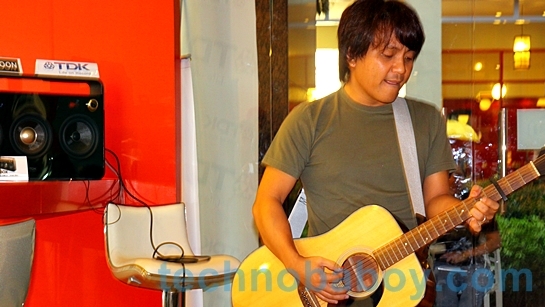 To test the mettle of the TDK Boombox, Ebe Dancel, erstwhile Sugarfree frontman, plugged in his acoustic guitar and belted a couple of tunes. I might say I was impressed with the performance of the TDK Boombox. It pumped out dynamic, powerful sound. The room was quite big but the Boombox easily filled it with the sound of Ebe’s guitar. I also tried playing a tune from an iPod and the TDK Boombox still impressed. Base was solid and clear, treble was well-balanced. 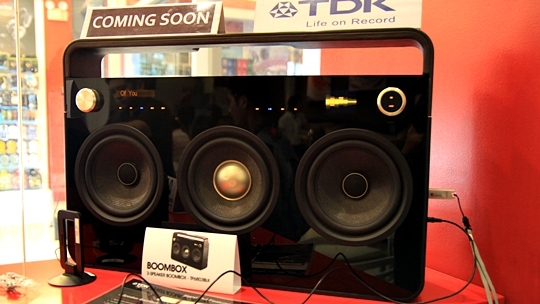 As to design, the TDK Boombox is stylish and definitely reminds me of boomboxes of old. It has a glossy black finish and uses metal, leather and acrylic materials which all combine to create a premium look and feel. 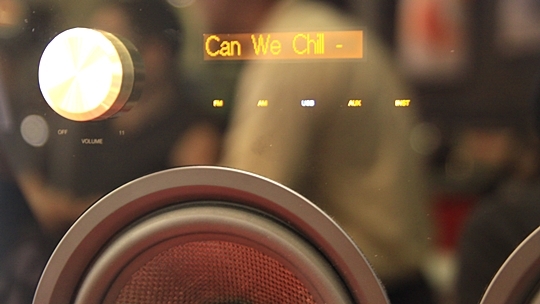 The use of touch controls also adds to the appeal of the Boombox. 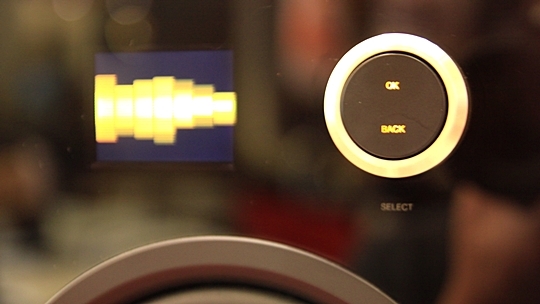 The TDK Boombox has a lot of connectivity options which include RCA and instrument input and a USB slot. It also features an AM/FM radio. My only gripe? It is quite hefty, so if you want a boombox you can lug around, look somewhere else. 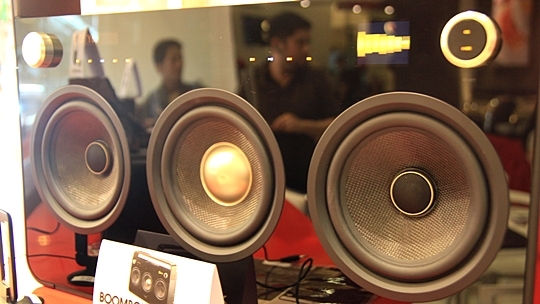 The TDK 3-Speaker Boombox will be priced anywhere from P32,000 to P35,000 when it debuts in August and will be available at Digital Walker.